Yes, we were forewarned that a blizzard was coming our way. However, that still didn’t prepare me for what I witnessed this morning. Opened our front door and basically screamed “What the F (freak)! 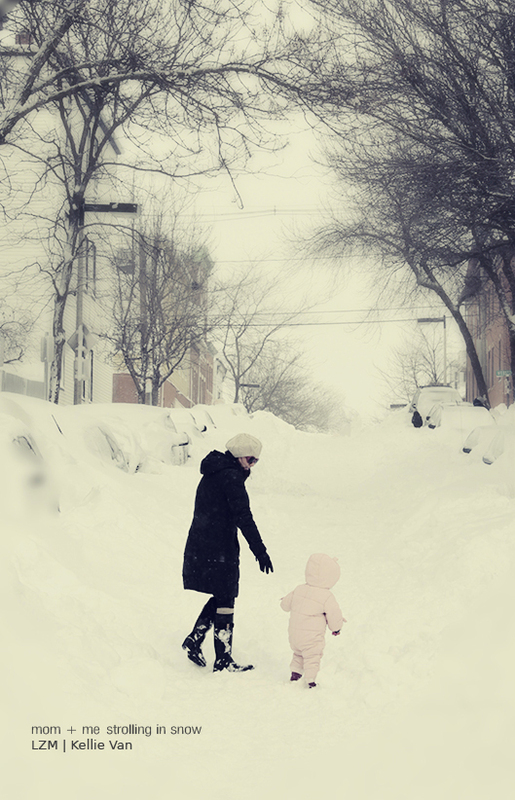 !” Our car was almost completely engulfed in snow and the street was a complete blanket of white madness that was probably over 2 feet deep. This was actually our first time experiencing something like this. Here’s what we did today as we were basically stuck in our home. The only short distance traveled was walking outside to the street. It would be sinful to not have Zoey play in the snow! 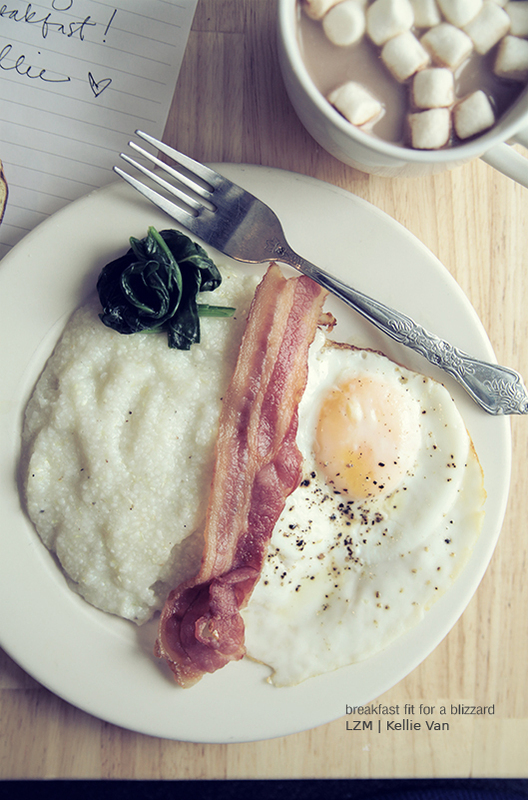 I made this hearty breakfast consisting of crispy bacon, buttered grits (YUM! ), sunny-side up eggs, sauteed spinach, bagel w/ whipped cream cheese, and hot cocoa w/ mini marshmallows. 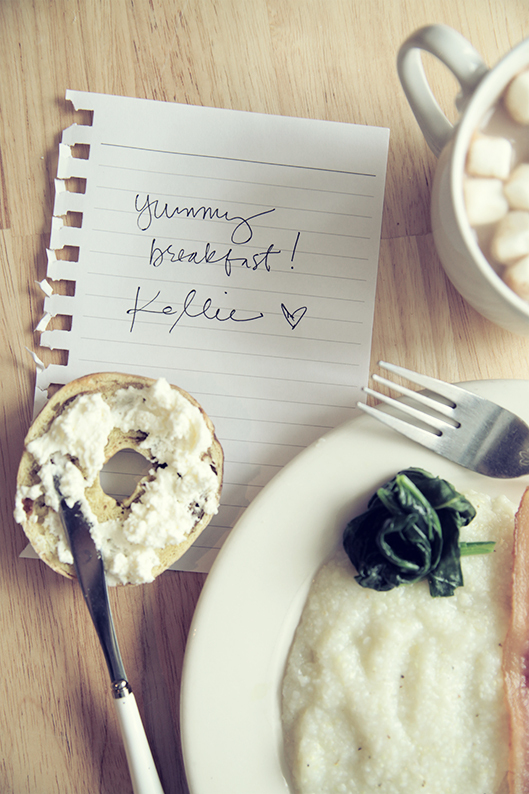 When it’s cold outside, a big breakfast seems fitting. Oh, and the two pieces of spinach totally categorized this as a healthy meal. 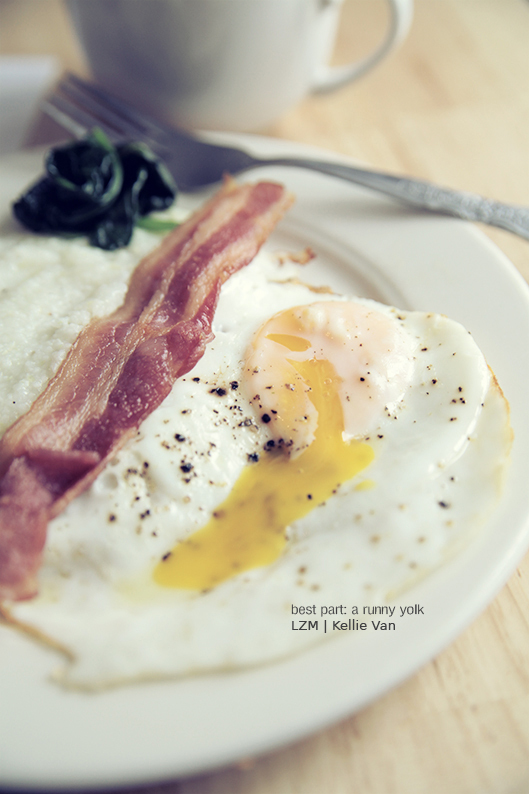 My favorite part is the undercooked yolk. My feet were kept warm, cozy, and dry! Zoey was not as excited to play in the snow as we were. My husband made this awesome dessert! 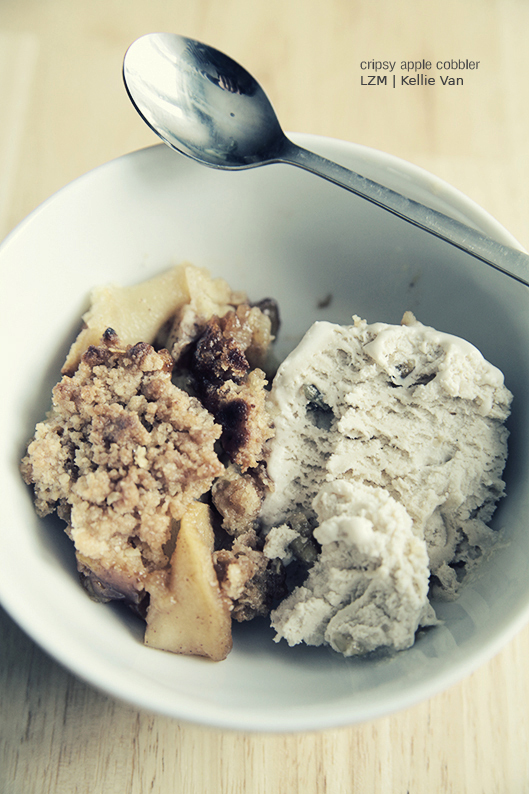 Enjoy warm and so perfect with maple walnut ice cream. 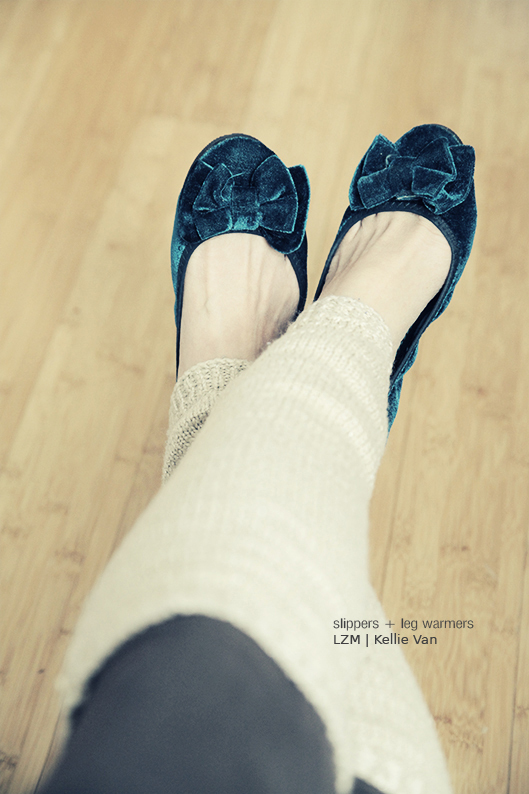 To keep my footsies and legs warm. Living in the South we have only seen this a few times but one of them was when my daughter was the same age as Zoey. I took all of that time to bundle her up and then she was scared of the snow. The last time however she was 23 and she drove her pick up truck over to my house at eleven o’clock at night! I was so upset that she had done that. She just wanted to prove that she could. this post really makes me miss snow! 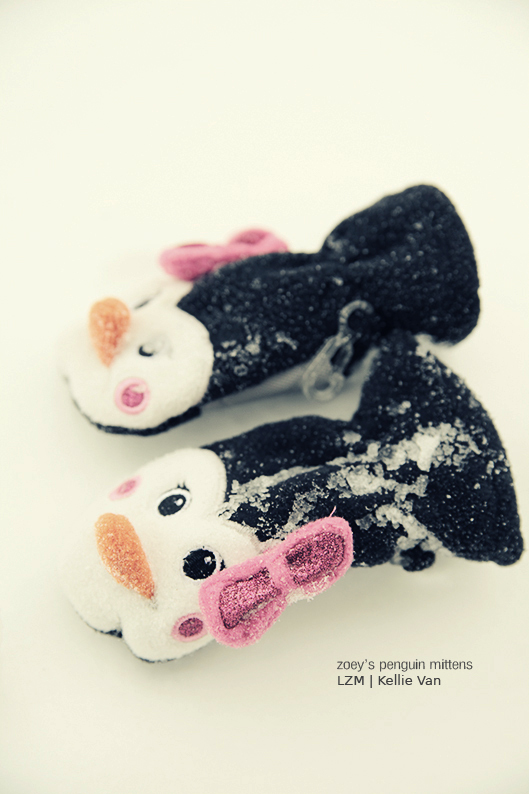 love the leg warmers- so cute. Beautiful photos- love your boots!!! So glad we missed that snow this time in Va!!! 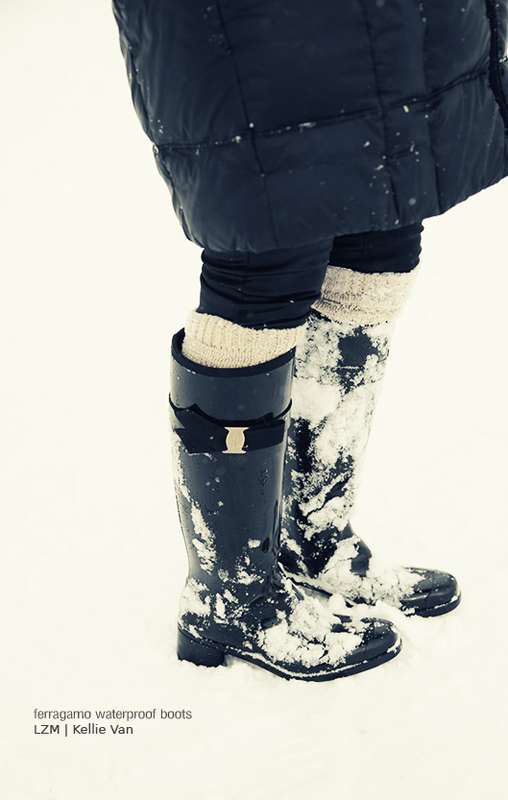 The best bit about snow days – an excuse to eat comfort food! 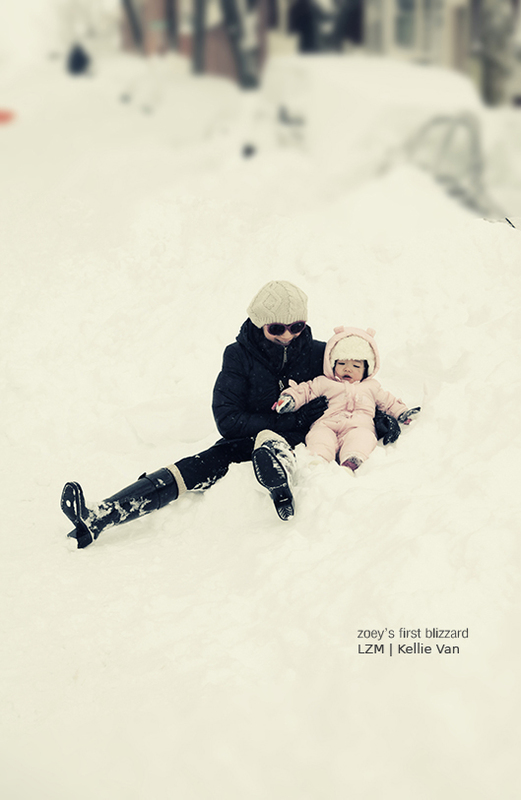 Looks like Zoey enjoyed the blizzard just as much as Avery did… he hates being bundled up. We need to get a sled though… did she like that? 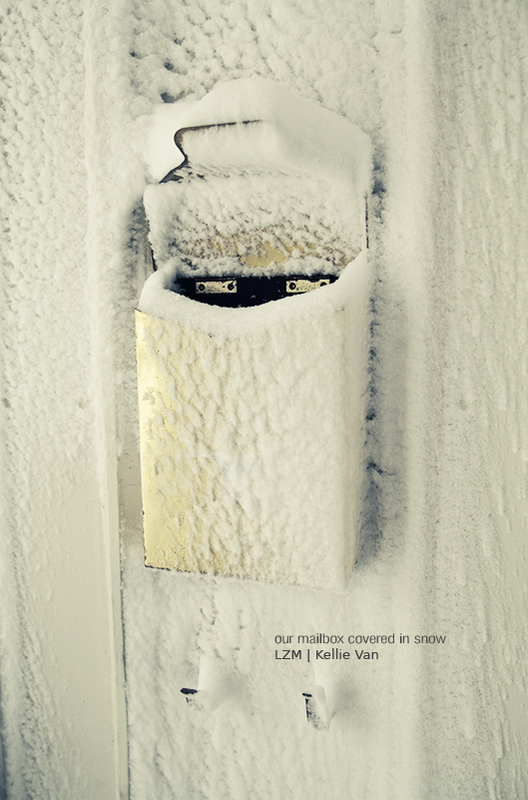 a perfect snow day…a little bit of snow and a lot of family warmth! Your snow photos are lovely. And I love those velvet slippers. I love the “breakfast fit for a blizzard” with the spinach tidbits for health bonus points. LOL! Zoe is so cute! The meal looked delicious and I love your boots. Awesome entry. I was right there with you. Love the pictures. The snow looks beautiful. That snow is unbelievable. We had a beautiful sunny day here (but cold). Loved the pictures of you playing in the snow! 🙂 Priceless! Zoey was probably like what is this stuff? Glad it was only 2ft instead of something crazy! Stay warm. Beautiful post. I really love your photos. They are always so amazing. Kellie, you are so funny!!! Love, love, love that breakfast!!! Grits…..awesome and you can fix eggs for me any time (that’s exactly my style!!!!). I/we have been watching the East Coast weather happenings and praying for you all. 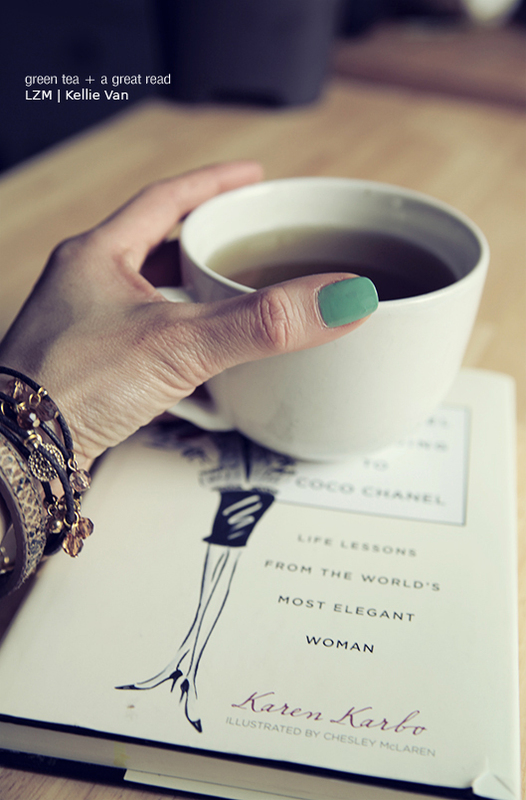 Enjoy as much as you can but do take care……hugs….. Wished we could have some of that snow here in Houston!